If you’re using Verizon Wireless services today you might have noticed the huge data outage reported on both 3G and 4G networks across the country. Users from New York and New Jersey to California are all suffering from the outage, which seems to really be a nationwide one and the carrier itself has confirmed the issue exists. There’s no estimated time on when a fix will come, but hopefully it will be soon. Sadly, Verizon representatives aren’t authorized to speak about exactly what areas and markets are affected, so this is solely based on user reports. Help us out with your experience with Verizon Wireless today - is your data down? Also, stay tuned - we’ll update you whenever we have more information on this. Update: For many of the affected Verizon customers 3G data is back, but often reported spotty, while 4G is still down for the majority of users. On the East Coast, some users in the Tri-state area report that LTE is back as well. Verizon is obviously looking into this and hopefully we'll get a nation-wide fix soon. data is down in eastern VA. i was really worried it was an issue w/ my galaxy nexus. 3g just came back for me. What does WiFi have to do with 3G or 4G/LTE? If you WiFi is down, then it's not because of VZW. just got back 3G in Miami not too long ago. Me too. I was contemplating the return. Thanks for the report! thats horrible... none?? thats never happened to me thankfully. 3g is kicking strong here in jax. Yeah, my Thunderbolt, DX, D3, D2, D1 were all down as well in southen California. None on my galaxy nexus in NY. Looks like since 3:30 AM when my Gmail stopped syncing. Data network is down in FL too. Same problem and time in Chicago. Which is unfortunate, before the outtage i had a speed test pull a 24mps down on my Nexus. Dont you Dare.. for the sake of your balls man..
Lol I know what you are saying. I got a red headed Fiancee. and she didnt have her netflix or pandora on her way to work today.. long bus ride for her.. HOLY #*&$@# (#$% she was pissed. This will happen at least once every three months. That's when they do their tune-up of the eHPRD protocol bridge for UMTS and CDMA2000 to allow the LTE and 1xEV-DO networks to work together. 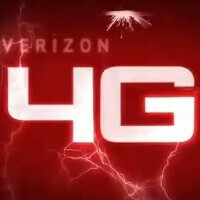 Personally, I would suggest T-Mobile's Galaxy S II and the GSM Galaxy Nexus instead of the Verizon Galaxy Nexus and the DROID Charge. Upstate new york is still good with 3G, can't speak for 4G yet. I thought it was just my Rezound being funky. Ha! Yep, southern Michigan and NW Ohio EVDO are also down.